BOMNAL cafe is listed as one of the most popluar coffeeshop in Jeju. Located right behind Handam Beach, Jeju, this cafe which recently become shooting place of Mendorong Ttottot (맨도롱또똣) restaurant in drama Warm & Cozy starred by Yoo Yeonseok and Kang Sora, is famous for its gorgeous sunset view. Korea’s No1. House & Experience sharing network. Book unique & affordable private apartments, rooms and guest houses for your Korea trip! 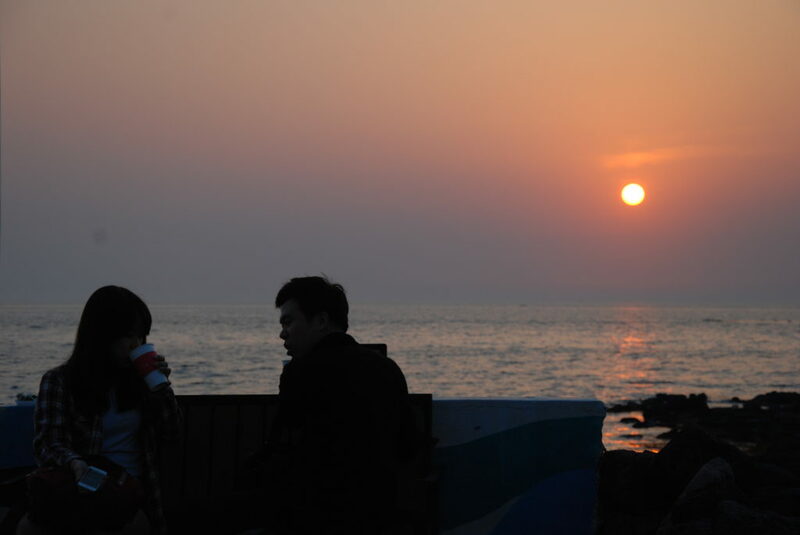 This entry was posted in FOOD and tagged accommodation in Seoul, Jeju, nature, sunset.